The journey from northern Alaska to the southernmost tip of Argentina is more than 24,000 miles – so could you imagine completing it ten times? 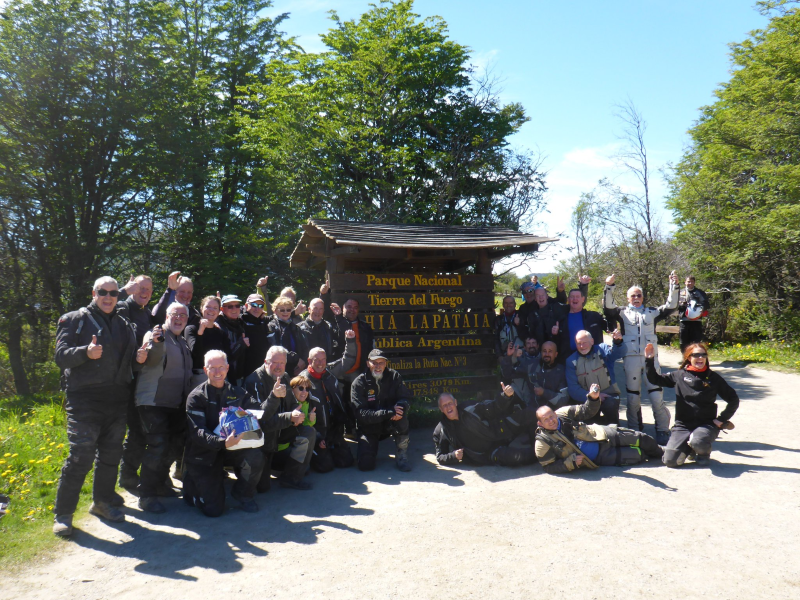 That’s the reality for our friends at GlobeBusters Motorcycle Expeditions, who this weekend celebrated reaching Ushuaia, capital of Argentina’s Tierra del Fuego region, with a group of hardy customers in tow. Led by world record holder Kevin Sanders, the 2018 expedition left Alaska in July, and since then they have enjoyed thousands of miles of riding across Canada, the USA and the states of the Central and Southern Americas. Once the celebrations have died down, the group, now joined by Kevin’s wife and fellow world record holder Julia, are set to ride north-east towards Buenos Aires, the capital of Argentina. From Buenos Aires they’ll then cross the River Plate to Montevideo in Uruguay, where the bikes will be crated up ready to be shipped back home along with the riders, who are all no doubt looking forward to a well earned Christmas break. As an official partner of Continental, the GlobeBusters team have been using a combination of TKC 70 and TKC 80 tyres on this amazing trip, depending on the severity of the terrain. We’d like to congratulate them on this fantastic achievement. If you’d like to join them on their 11th Trans Americas journey in 2020, you can find out more on the GlobeBusters website. Find out more about the Continental adventure tyre range here. This entry was posted in News and tagged Adventure, GlobeBusters, Overland, TKC 70, TKC 80. Bookmark the permalink.